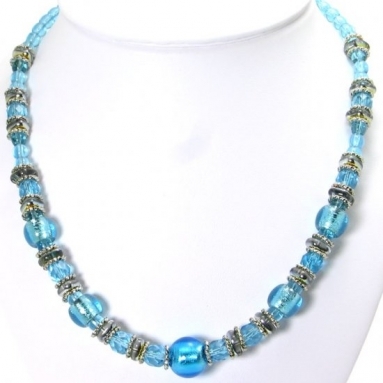 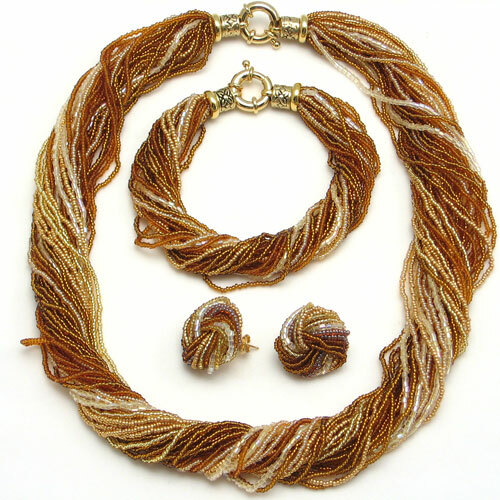 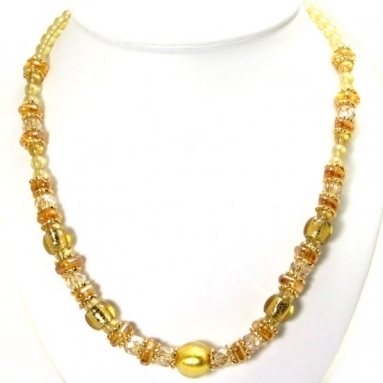 Ricciolo Gold and white Necklace - Murano Glass Jewelry - Murano Glass Gifts Co.
Make a colorful statement with this murano glass seed beads necklace. 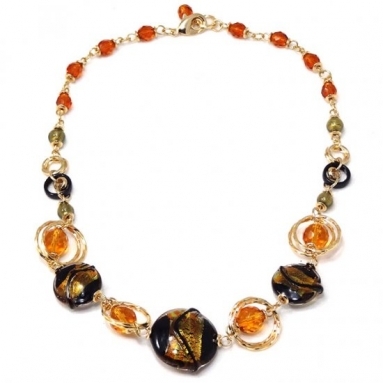 This stunning twisted murano necklace is the perfect piece for your next beach vacation or special occasion. 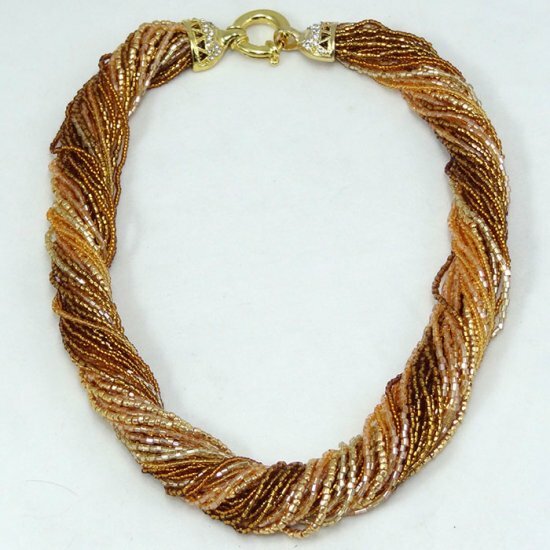 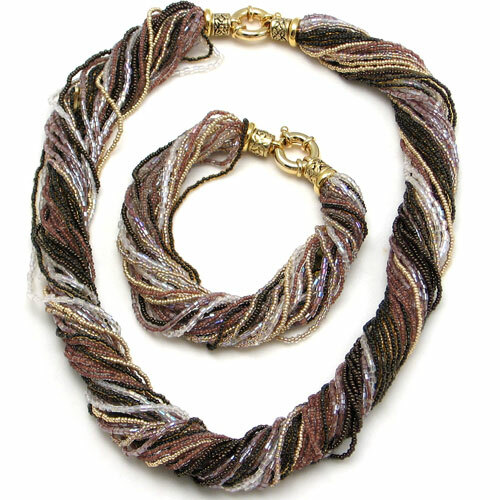 The bold, bright seed beads in this necklace add a unique twist to a neutral outfit or even coordinate with a colorful blouse or skirt. 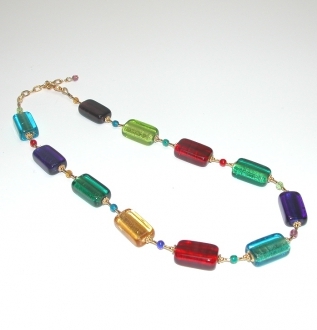 Strands of the finest Venetian glass with chandalier cut beads will catch the light as you move. 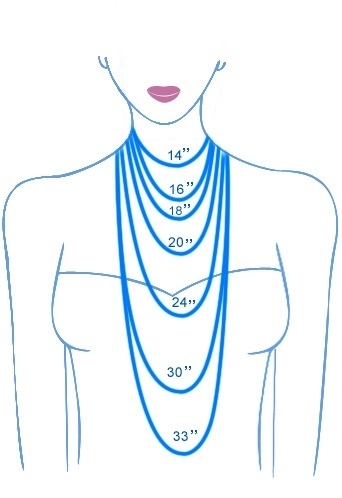 Everyone will have to take a second look at the jewelry you are wearing. 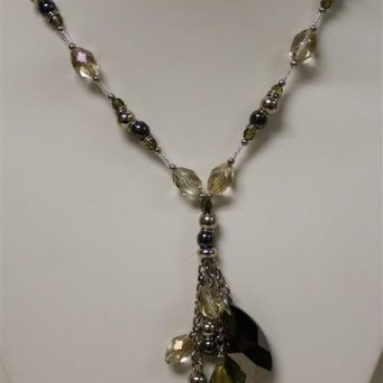 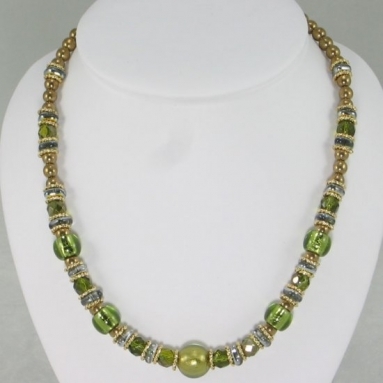 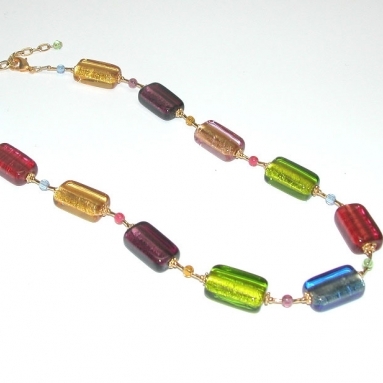 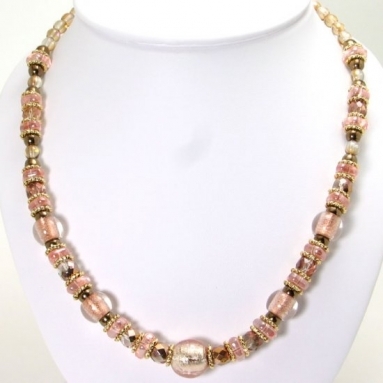 The gorgeous clasp made of Murano glass beads will be the perfect accent of this spectacular necklace. 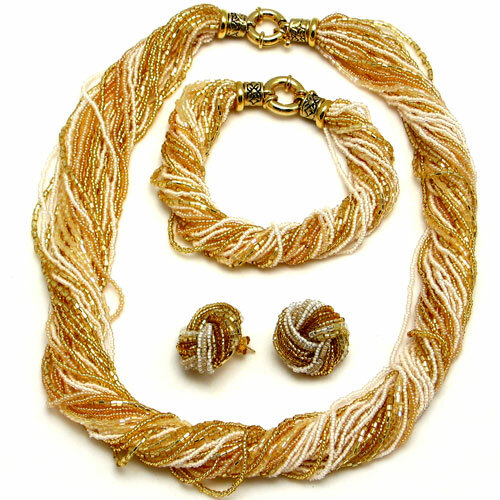 Matching bracelet and earrings available.